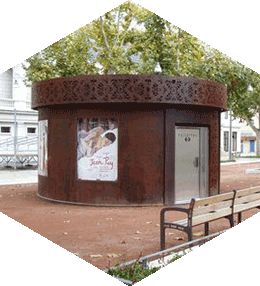 Using a modular design, this new toilet concept can be adapted to any environment, whether it be a park, garden or an urban street. Particular attention has been paid to the interior, which is accessible to persons with reduced mobility, in order to provide the user with a friendly and restful experience, animated by touches of colour and contemporary shapes. The use of natural light has been prioritised to create a comfortable user experience in reassuring surroundings. 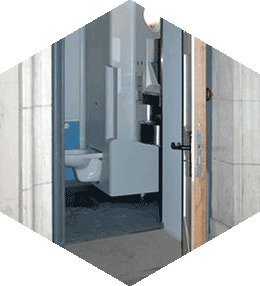 The options on offer for our customisable toilets mean that they are highly modular. 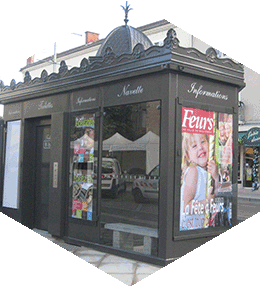 For example, they can also be integrated into Traveller shelters or at points of sale. Contact us to find out more. 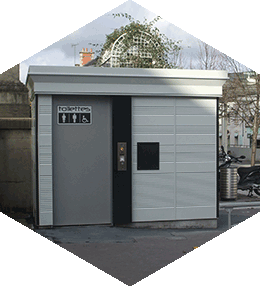 To comply with the regulations, each city must have accessible public sanitary facilities. It is possible to know precisely how many cabins it is necessary to install based on the frequentation of the places concerned. For more information, consult the departmental health regulations to which you are attached. 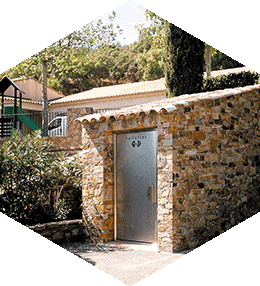 In order to meet your requirements, Francioli offers fully customizable public toilets. Contact us for any specific request.